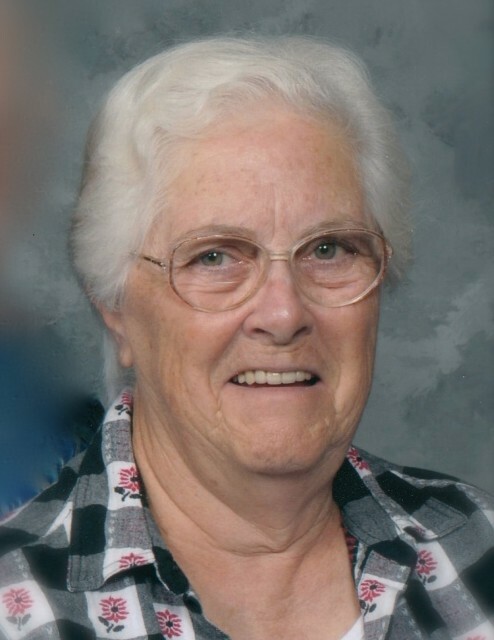 Freda Belle Sellers of Fort Wayne, Indiana and formerly a resident of Pierceton, Indiana passed away at 6:30 p.m. on Friday, February 8, 2019 at Sage Bluff Health and Rehabilitation Center in Fort Wayne at the age of 85. She was born on February 15, 1933 in Warsaw, Indiana to Orlie C. Shaw and Georgia E. (Werntz) Shaw. On August 29, 1951 she was married to Harold Lee Sellers. They were married for 62 years before he passed away on November 19, 2013. She was a lifetime resident of Kosciusko County, Indiana and a 1951 graduate of Warsaw High School. Freda worked alongside her husband Harold for many years in their company Sellers and Sons, Inc. and held the position of vice president. She attended Winona Lake Free Methodist Church in Winona Lake, Indiana and was very involved in the church. She will be forever remembered as a loving wife, mother and grandmother who dearly loved her family. She will be lovingly remembered by her son: Brad (Carol) Sellers (Streator, Illinois); two daughters: Sandra (Rex) Mauk (Warsaw, Indiana); Leigh (Fred) Watkins (Warsaw, Indiana); nine grandchildren and twenty great-grandchildren. She was preceded in death by her parents, husband, Harold Lee Sellers, four brothers, and three sisters. Visitation will be held on Tuesday, February 12, 2019 from 3:00 – 7:00 p.m. at Redpath-Fruth Funeral Home, 225 Argonne Road, Warsaw, Indiana. A private family service will be held and burial will follow with a graveside service at Oakwood Cemetery of Warsaw. Memorial donations in Freda’s memory may be directed to the Alzheimer’s Association, Greater Indiana Chapter, 50 E. 91st Street, Suite 100, Indianapolis, Indiana 46240 and would be appreciated by the family.